You can read this newsletter online, if you prefer. Have you ever seen a dog treat recipe and you didn't make it because you didn't have the exact ingredients? Or, maybe your dog can't have it because of his food allergies? That's why this month we're going to show you how easy it is to transform a recipe to fit your dog and pantry. 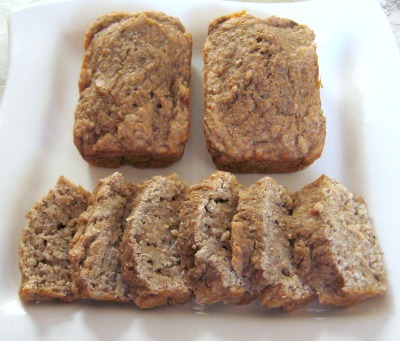 Let's take a recipe, like the Banana Bread Dog Treat Recipe and transform it into something different. Whole wheat flour will be replaced with a mixture of two grain free flours. We used an equal amount of brown rice flour and garbanzo bean (chick pea) flour. You can skip this change if your dog is not sensitive to wheat or grain flours. Bananas will be exchanged for seasonal pure pumpkin puree. 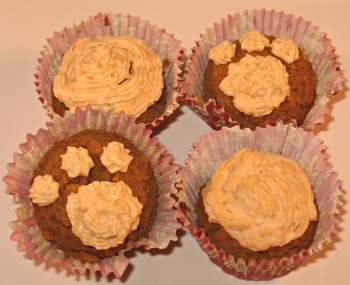 Another fun way to make a dog treat recipe different is to bake it in a new shape. 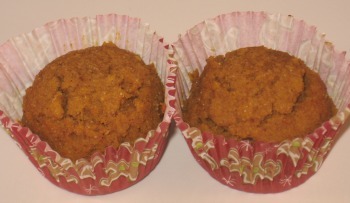 So we chose a mini muffin or cupcake to make these pumpkin dog treats. 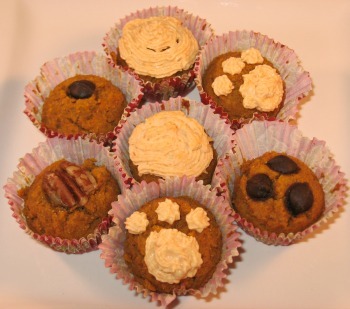 We also wanted to share 4 fun ways to decorate your seasonal dog treats. 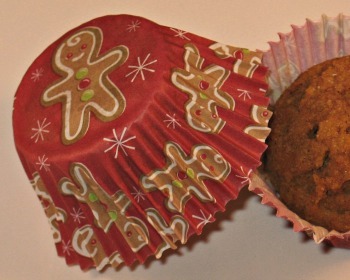 The first is the easiest, use festive cupcake liners. There's no shortage of cute liners. Plus it helps keep the cleanup quick. Second is a tip for before you bake your treats. Gently press the decoration into the unbaked treat. We show here a treat with a pecan piece and carob chips. Super easy, quick, and makes the plain muffin look extra special. Third way to decorate your treats is with a homemade sugar free frosting. Here we whipped up a batch of sweet potato frosting. Peel, and cut into cubes a small sweet potato. Place in a microwave safe bowl and cover with water. Microwave until soft, about 3-5 minutes. Drain the water and mash with a fork. You need to have about 2/3 cup of mash. If it is more or less, adjust the amount of broth and water you add. Next, scoop the sweet potato into a food processor. Add 1/4 cup of chicken broth and 1/8 cup of water to your processor. Pulse until smooth. In a medium bowl combine the potato mixture with 1 teaspoon of water, 1 tablespoon of olive oil and a 1/2 cup cornstarch (see note). Add the frosting to a piping bag fitted with a fluted tip. Frost your cupcakes and refrigerate until the frosting has hardened. The frosting will be very thick. Continue to mix until all the ingredients are combined. If needed add 1/4 teaspoon of water at a time until the frosting comes together. Note: If your dog is sensitive to corn, you can substitute the cornstarch for tapioca flour or potato starch. Both of these can be found at major specialty grocery stores and health food stores. Combine all these ideas and create a one of a kind, healthy and homemade decorated dog treat that is a perfect gift for any dog and their human. How would you spend $100 at Amazon.com? Start planning your shopping spree because we're giving away a gift card to one person for completing our survey. We'll announce the winner in next months newsletter. So, what are you waiting for, get more information and answer our survey to be entered to win. We've created our own central store location for you to shop for all of your dog treat needs and beyond. Each month we will give 10% of our net profits from purchases made through links on our site to dog rescue organizations and humane societies. Shop for Your Dog & Help Less Fortunate Dogs at the Same Time. We'd also like to thank everyone who already uses our links for their shopping needs. Now you can have the added satisfaction of helping dogs in need. Do you want even more turkey dog treats? Purchase healthy pre-made dog treats for your special little one. Some of our favorite picks are the Blue Buffalo Turkey Jerky Dog Treats and the Zuke's Mini Baked Dog Treats. 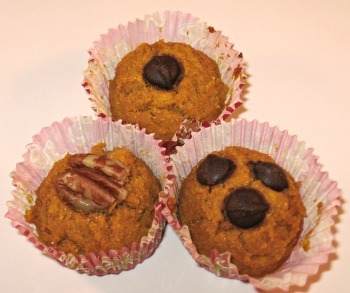 "Your dog treat recipes have helped so much and my dogs LOVE them thanks!!!" "I would just like to say that my 2 dogs just ABSOLUTELY LOVE the amazing recipes that you come up with! All the recipes come out fantastic and look very delicious too! Keep the great recipes coming!!" What's New for the December issue? We'll have fun decorating ideas for our next issue. Pretty candy canes and lots more.